Wuppo Review - Platforming In A Pastel Paradise — GamingWithSwag.com - Dads By Day, Gamers By Night. Graphics/Style – Spectacular water-colored environments, reminiscent of the original Yoshi’s Island. Story – Join Wuppo on an adventure as he seeks a new home upon being kicked out of his current residence! Favorite Element – The fun water-colored environments are a real treat! Wuppo has gorgeous hand-drawn visuals similar in style to Yoshi’s Island. 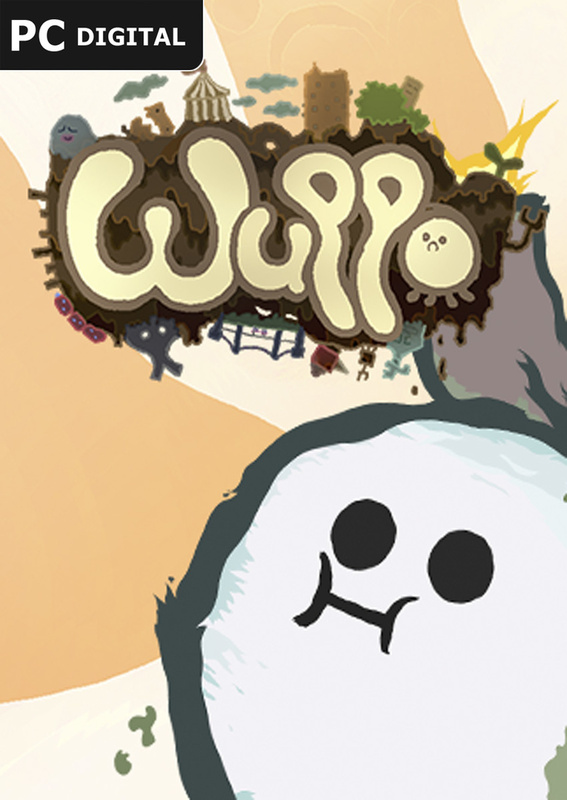 Published by Soedesco Games, Wuppo takes the beautifully hand-drawn ambiances similar to games like Yoshi’s Island & Kirby’s Epic Yarn, and includes a bit of wit and humor to give it a twist. Add in a fun story, puzzle elements, and solid twin-stick gameplay, and you have a package that does a lot right as it attempts to tackle a variety of different genres. Embarking on a grand adventure, Wuppo the wum finds himself kicked out of his home, the wumhouse, after unintentionally spilling ice-cream throughout the halls of his living-quarters. Upon being evicted from the premises, Wuppo leaves on a humorous journey to ultimately find a new place to permanently live. Along the way, friends are made that bring the beautiful world around him to life, and decisions are made in dialogue that will give purpose to the relations Wuppo holds with the people around him. Cute and clever enemies include this ball of dust that plagues the 5th floor of the wumhouse! One of the best parts of this game is the tight controls among its action/platforming gameplay. While Wuppo is capable of carrying a variety of different items throughout his quest, the gum gun, a customizable device capable of destroying his foes with gumballs, will ultimately be your main piece of equipment for the majority of time. Firing it consists of fine twin-stick shooting, making enemy encounters and boss fights a skill to be mastered. As with most twin-stick shooters, fights that once seemed impossible will eventually be conquered with patience & persistence as you master the gameplay and follow patterns. Wuppo never takes itself too seriously. Developer Knuist & Perzik have done an outstanding job in creating a gorgeous open world that never once feels like a chore to discover. Their use of multiple genres does well in providing something for everyone, all the while maintain a tight balance among all of them. While this adventure could have aspired to be larger in scale, this is a great package full of variety that will win your heart and is surely worth your time. Creative boss fights provide a trial & error element that will eventually be mastered.